With Niagara Catering Services make a Bar Mitzvah extra special and memorable. 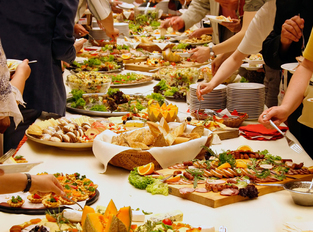 We provide wonderful food options and accommodate for a large or intimate setting. We also are able to arrive promptly for set up and staging at any venue in the Niagara on the Lake and surrounding areas. We love celebrating with you. Let one of our amazing chefs make a succulent cake, entrée, appetizers, and more for you. We also can prepare traditional dishes to serve your preferences. 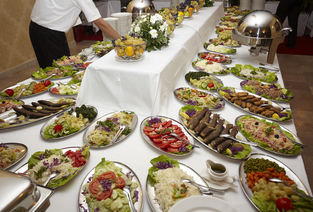 We offer a number of kosher prepared dishes as well. The great thing about our services when it comes to Bar Mitzvah celebrations is that we are able to match any theme with amazing food. We plan ahead, getting your guest numbers, specifications, dietary restrictions, and any other pertinent information that can help us add extra style and glitz to your affair. We work with a number of other companies and can help recommend additional local services that will make your affair extra special. 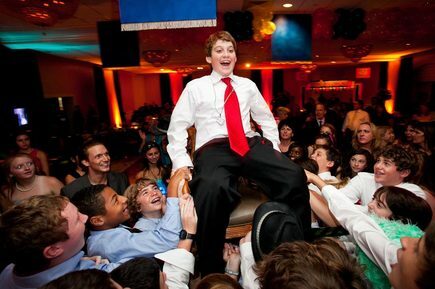 Celebrate with family and friends, and make wonderful memories at your upcoming Bar Mitzvah! We have the acquired experience in making Mar Mitzvah’s memorable and enjoyable for all. Let us show you our wonderful menu options, or have our personal chef whip up something truly extraordinary for your affair. 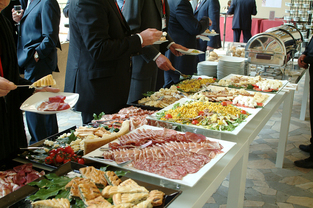 Anything is possible with our catering services. It will only take you a second to realize you hired the right company with our superior staff and delicious dishes. We are dedicated to creating a luxurious and high class dining experience for you and all your guests. Whatever atmosphere you wish to create, we can accommodate. From romantic and elegant, to teen approved, our food is adaptable for any guest and type of Bar Mitzvah celebration! Our servers will delight you with their form and efficiency. With our highly trained staff, we provide a catering service which enables you to truly enjoy the entire event from start to finish. You can also choose how and when service is presented. With visually appealing and adaptable dishes to meet a number of clients, you’ll know you hired the right catering company. Nothing says how much you care by planning an exquisite and memorable Bar Mitzvah. Marking this important milestone deserves exceptional food and celebrating. Whether your venue is outdoors, at a luxury hotel, or a private residence, we are here for you. We cater to all your needs, and walk you through the entire process so you can visually know what to expect. You can trust our reputation, history, experience, and repeat clients. We aim to make sure you and your guests enjoy a wonderful, memorable occasion with family, friends, and superb dining. With Niagara Catering Services make any Bar Mitzvah celebration extra special and memorable. 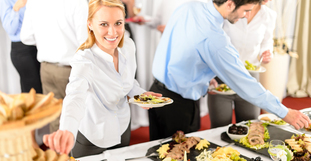 We provide wonderful food options and accommodate for a large or intimate setting. We also are able to arrive promptly for set up and staging at any venue in St. Catharines, Niagara Falls, Welland, Thorold, Niagara on the Lake and surrounding areas. We love celebrating with you. Let one of our amazing chefs make a succulent cake, entrée, appetizers, and more for you at your upcoming Bar Mitzvah or catered birthday event. Contact us today by filling in the form on this page or calling us directly at 289-273-2266. We look forward to speaking to you soon!